A comic book art course packed with tips, tricks and how-tos for creating comics. 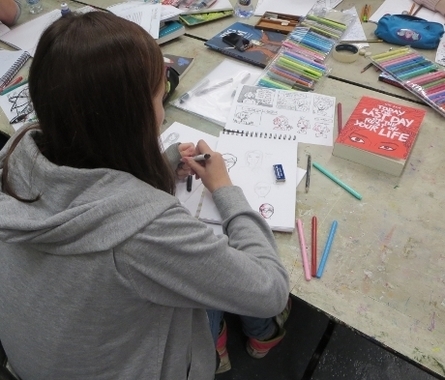 Develop & progress skills in drawing, story making, character development, reportage, and comics layout in this exciting course which is presented in a relaxed and fun environment. You'll come away with one completed comic strip page and a heap of skills and inspiration to get you on the road to becoming a fully fledged comic book artist. Crash Course Comics takes place over four Saturdays commencing 28th January. 1.00pm-3.00pm (15-18yrs). All materials provided, however participants are free to bring along any pencils, pens and markers they might like to use.